Business, travel, holiday, home, food, people, environment and all about life. It is an inevitable truth that jute is the best example of versatile fiber which is also known to be eco friendly in nature. This golden fiber is used for manufacturing top notch jute handicraft products like wall hangings, shoes, hats, bags and more. Previously, jute was used for manufacturing sacks but now, with the changing time, people can easily opt for those jute products which are elegant to look at and can make great household decorative pieces. The skilled craftsmen are working on various jute crafts related items which are now sold globally. Jute baskets: In order to maintain an eco friendly environment, people are now inclining more and more towards jute baskets in place of those which are made of plastic. These bags are available in various shapes, sizes and designs and also sometimes in different vibrant colors. These baskets can be used for storing clothes, magazines and also can be taken along for marketing purposes. 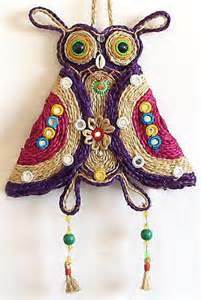 Jute wall hangings: For colorful and decorative embellishments, one can easily take the help of colorful wall hangings which are well decorated with mirrors, animal prints, stitches and more. This will surely offer you with a traditional look that depicts the Indian culture well. Jute mat: Due to high strength and also durable features, jute mats are gaining worldwide popularity nowadays. These are manufactured by using dense or thick jute fibers and thus, it is also hard to detect stains on these rugs. Jute curtains: In case you are planning to enjoy an eco friendly environment then curtains made out of jute is the best ever example of such products. Available in various designs and soothing colors, jute curtains can also help keep the rooms cool during hot and sultry weather. Jute rugs: Not only for decorative purposes, but these rugs are also used for keeping the floors clean. As these are tear resistant in nature, then you can use one rug for quite a long time. Jute flowers and jute flower pots: These pots are not only eco friendly but at the same time pretty to look at. You can keep flowers made out of jute inside these pots or you can also decorate real flower pots with some pretty and colorful jute threads which might appeal more. 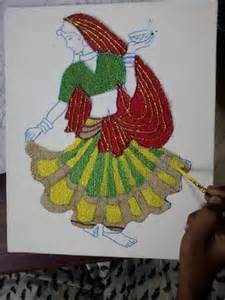 Jute bags: Handicraft artisans of India are also known for their handcrafted jute bags which are available in different shapes, sizes, designs and colors, which can be used for various purposes. Jute pen stand and pencil stand: There are lots of exciting fancy and stylish pencil stand, pen stand, pen & pencil holders which are perfect for study rooms, office and home. There are many other jute handicrafts which are widely used nowadays like carpets, rugs, mats, coasters, lamp shades, chairs, etc. made from jute. Notable online stores can offer you with some quality products at reasonable rates. For more information about the publisher of this post visit G+.